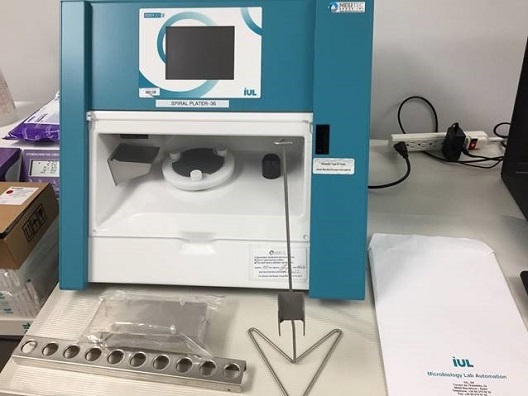 The Eddy Jet 2 Spiral Plating System is a color screen touch screen fully programmable spiral inoculation instrument with accuracy and reproducibility of greater than 99%. This uses a unique gamma-Irradiated disposable micro-syringe for each new sample, eliminating cross-contamination and the need for a vacuum source or washing steps. Maximum Flow Rate: 50 µl / sec. Mains: 230/100 VAC, 50/60 Hz. Dimensions (WxHxD): 7" x 12.6" x 16"